WASHINGTON — The Army has chosen Oshkosh Defense to build the next-generation variant of its Family of Medium Tactical Vehicles, a primary mover for weapons, sensors and communications platforms. The contract is worth $476.2 million, according to a Feb. 7 Pentagon announcement. Both incumbent Oshkosh — having produced the FMTV A1 variant since 2009 — and AM General submitted bids and the Army entered an evaluation period in May 2017 for its FMTV A2. Both companies touted their offerings at the Association of the U.S. Army’s annual convention in October. 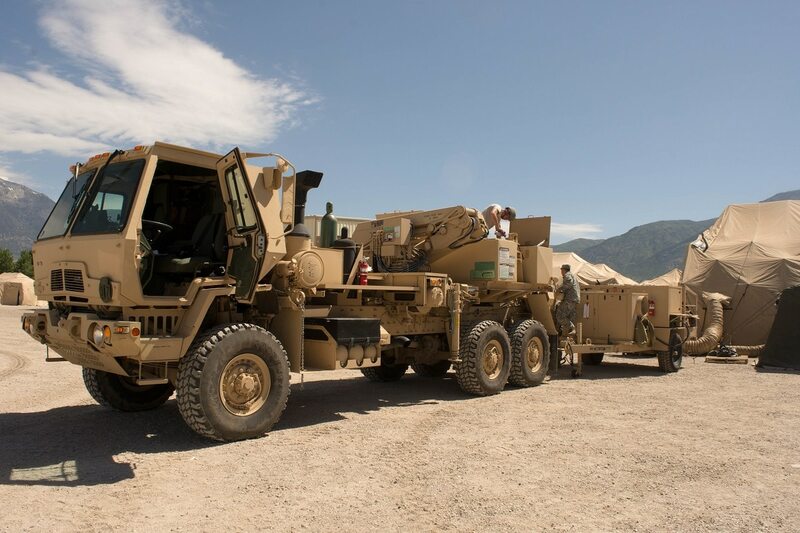 Oshkosh has manufactured and sustained more than 150,000 tactical wheeled vehicles for the U.S. Defense Department and its allies and has delivered more than 36,000 FMTV trucks and trailers, according to the company. The Army used soldier feedback and time with industry to learn what was important and to “maximize value,” Col. Dan Furber, the Army’s project manager for transportation systems, said in the statement. The Army owns the technical data package for FMTV. As part of the competition, the Army asked vendors to propose a series engineering change proposals to the FMTV design and for plans on how the vehicles would be produced. If all options are exercised during a five-year ordering period plus two additional one year options, Oshkosh could end up producing up to 2,400 vehicles under the contract, according to a Federal Business Opportunities notice. The estimated date of completion is February 2022, according to the DoD contract notice. This isn’t the first time Oshkosh and AM General have gone relatively head-to-head in a recent vehicle competition. Oshkosh beat out both AM General and Lockheed Martin in August 2015 to build the Army’s Humvee replacement, the Joint Light Tactical Vehicle (JLTV). The JLTV deal could ultimately be worth $6.7 billion in low-rate initial production but could generate up to $30 billion for Oshkosh over the entire program. After the loss, AM General focused its efforts worldwide, recently announcing last year it would develop trucks a la carte for customers around the globe. According to the Army, the new FMTVs will begin rolling off the production line in 2020. Due to an editor’s error, the headline originally misstated the value of the contract over the life of the program. The error has been corrected.